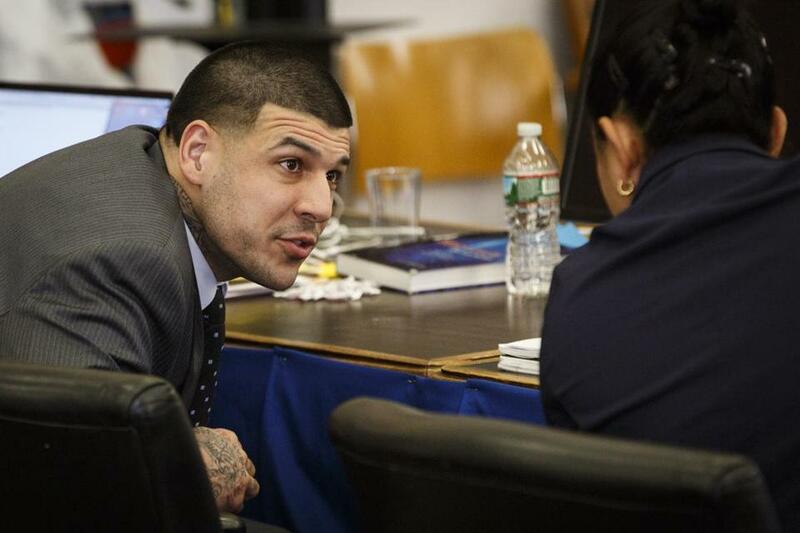 Aaron Hernandez conferred with one of his attorneys in court on March 2. Gay-rights advocates were alarmed Tuesday by rampant media speculation about Aaron Hernandez’s sexual orientation, saying the unverified reports are not relevant to his crimes or his suicide. “It’s the journalistic equivalent of a titter, of a whisper, and it’s salacious,” Isaacson said. In recent days, tabloids and radio hosts have speculated, based on unnamed sources, about Hernandez’s sexual orientation. Some have claimed that one of the three letters he left after his suicide was written to a fellow prisoner who had been involved in a sexual relationship with the convicted murderer and onetime New England Patriots star. The Globe has reported that one of the letters was written to Hernandez’s fiancee, Shayanna Jenkins-Hernandez, and another was written to their 4-year-old daughter. The Globe has not confirmed the contents of the third letter. Zeigler coauthored a story on his website Monday titled, “The rush to proclaim Aaron Hernandez ‘gay’ or ‘bisexual’ is troubling.” He said Hernandez’s sexuality would only be relevant if it were pertinent to his crimes, his suicide, or an ongoing legal case. Jose Baez, a lawyer for Hernandez, blasted rumors in some of the reports that Hernandez had a relationship with a 22-year-old inmate. The inmate has released a statement through his attorney saying he was the intended recipient of one of the letters Hernandez left, a claim Baez denied. “l urge anyone continuing to spread these malicious untruths to cease immediately,” he said. On Monday, Judge Thomas F. McGuire Jr. ordered the letters to be delivered to George Leontire, a New Bedford lawyer representing Shayanna Jenkins-Hernandez. Hudson Taylor, executive director of Athlete Ally, an organization that combats antigay discrimination in sports, said he was concerned that Hernandez’s sexuality has become a story line fueled by rumors and unnamed sources.